Samsung utilizes partnerships to transform its products into end-to-end solutions. 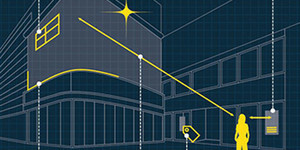 From hardware to software to implementation, everyone involved works with integrators to bring these solutions to life. 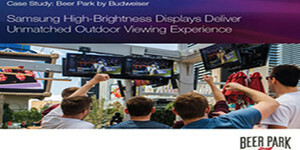 Samsung large format displays provide professional-grade image quality for high-impact visual messaging in on-property retail, dining, entertainment and common spaces to attract attention, drive revenues, and create memorable guest experiences. 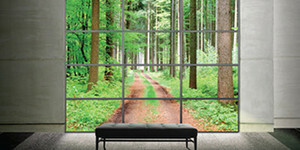 Samsung large format displays provide professional-grade image quality with superior contrast ratio and best-in-industry brightness and color uniformity. 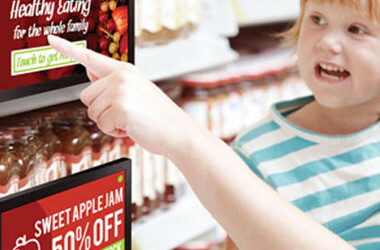 Small, yet powerful signage is a perfect way to increase interactivity in retail environments, meeting rooms and public spaces. 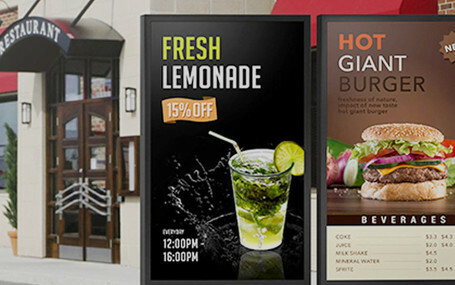 From restaurant menus and product locators to maps installations, these displays add interactivity to any environment. 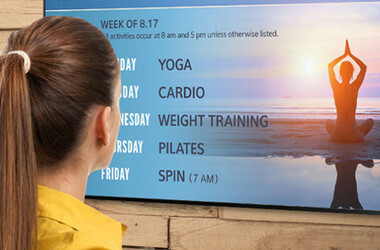 In-window digital signage needs versatile displays with high brightness to outshine indirect sunlight in front windows or outdoor settings. 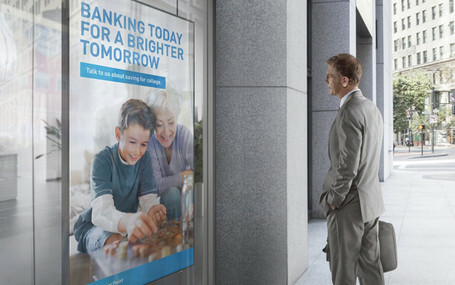 Outdoor and window communication requires stronger, more versatile signage. 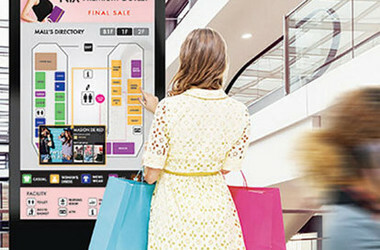 Samsung displays are everything you need to reach customers beyond the property.